The Pumi is one of three Hungarian herding breeds, all of which have a common origin. The Puli originated in the eastern plains, the Mudi in the southern plains, and the Pumi in the hilly region of western Hungary. These breeds are so closely related that even today Pumi-appearing puppies can be born in Puli litters, and Mudi-appearing puppies could be born in Pumi litters. Understanding the close relationship between these breeds will assist a judge in their prioritization of dogs when judging each of these breeds. The three breeds vary the most in coat type, ear shape, and tails. The body types are quite similar, all calling for a square, light-bodied dog. The Pumi head is longer and narrower than the Puli, with the muzzle from 40-50% of the length of the head. The standard asks for a “full complement” of teeth, and we ask that judges check the dentition by pulling the lips back to view the sides. If any are missing, it will most commonly be the premolars. The ears are one of the most distinguishing characteristics of the Pumi, and lends to its whimsical expression. The ears are erect, with the top 1/3 of the ear tipped over, the tips pointing slightly to the sides. Judges will see ears from 1/2 to 1/4 tipped over, but the ideal is 1/3. The fold of the ear is not distinct, and is more of a curve than a crease. The Pumi was used for herding cattle, sheep, and swine. They need to be quick to think and light on their feet, able to change direction instantly. The Pumi is moderately angulated, with moderate reach and drive. The picture should be of a tightly held together square, moving in a very collected manner at a moderate trot. The Pumi is light-bodied, with the depth of chest slightly less than the length of leg. They are like a distance runner – light-bodied and wiry, but with good muscling. The thigh muscling should be surprisingly thick considering the lightness of body. The withers form the highest point of the body, and the tail is high set. The back is short, straight, and taut. The standard does not mention that it is level and this needs to be corrected in the next revision. However, the dogs are groomed to show a sloping topline. The coat is distinct among AKC breeds. It is a 50-50 mixture of harsh and soft hair. The harsh and soft hair are basically the same length. The proper proportion of harsh hair may not appear until the dog is 3 years-old, but younger dogs should have at least some harsh hair. The hair forms into locks of hair which is a distinguishing characteristic of the breed. These locks of hair vary in type and shape over the body, from curls on the back to corkscrews on the legs. A judge must check for this type of coat, and for the 50-50 proportion of hard and soft hair. The locks of hair do not cord as in the Puli, but can easily be combed out, which needs to be done about once every 2-3 weeks. The hair is surprisingly resilient to dirt and twigs, and what doesn’t fall out, the Pumi will pull out themselves. The hair is never fluffed and blown dry because it obscures this primary coat characteristic. Each time after combing, the coat is wet down and dried naturally. At the show, the Pumi is sprayed down with water each day to assure that the locks of curls are restored. Only after drying naturally are they neatened up with scissors. The Pumi can be almost any solid color, but must always have a black nose and black pigment. The white dogs will quite often have a snow nose, but good pigment is desired nevertheless. 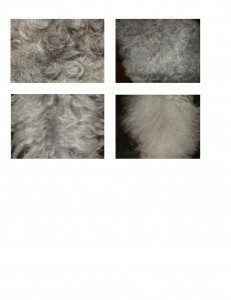 The accepted coat colors are black, white, fawn, and any shade of gray. Fawn should preferably have some gray shading in it (i.e. fawn puppies should be born dark and then fade to a fawn color). Gray puppies are born black and fade to gray, the same as the Kerry Blue Terrier and silver Poodle. Because of the graying process, the coat may be a number of shades of gray on the body, typically a bit lighter gray on the legs and muzzle. This shading is not the same as a black and tan pattern which is a disqualification (similar to the phantom Poodle). The dogs bond very tightly to their owners, and rarely will show for someone they don’t know. Typically they are cautious of strangers, not backing away, but not going up to them either. This is one reason the Pumi is a table breed. Where they will stand very well for a judge to go over them on the table, they do not appreciate a stranger hovering over them while on the ground. A Pumi can make an excellent partner for whatever performance activity you choose. Pick your game and your Pumi will happily play it with you. Pumi are intelligent and catch on quickly. Because they need both mental and physical stimulation, they do best with short training sessions where the elements taught are varied. They are biddable and enjoy working for their human and develop a strong work ethic, being highly focused on their job. Their lively animation while they engage with their person makes a memorable performance no matter what activity you choose. Nosework, barn hunt, and treibball allow them to use their more innate abilities. Because Pumik enjoy mental challenges, they are very adept at learning tricks and can master complicated tasks. This makes them a natural for activities like freestyle. The Pumi’s herding style of working close-in and ability to be precise enables them to excel at competitive obedience. The first Pumi earned an Obedience Trial Champion (OTch) in 2013. 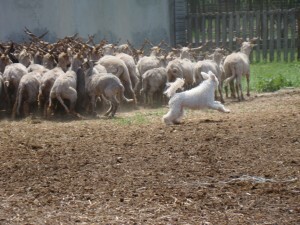 It’s that same herding instinct, coupled with their structure, that make the Pumi ideal for agility. A strong hindquarters and short pelvis enable them to turn sharp and accelerate quickly. Since the first Pumi earned a Master Agility Champion (MACh) in AKC in 2012, Pumik have competed in both the Challenger’s and final rounds at the AKC National Agility Championships, and won the 16 inch division at the AKC Agility Invitational. A Pumi has represented the US on the International Team in Europe and South America. But how are they to live with when not working and playing with their human? Pumi typically have an “off switch” which allows them to chill and relax when needed, just like their human. But once those batteries are recharged, stand back! At first glance, the Pumi should have a distinctive silhouette, very square, upright, and light-bodied, with a slightly sloping topline, high tailset, and curled tail, moving at moderate speed with very moderate reach and drive – with a light step and springy (not bouncy) motion. • Height ½” above or below the desired range. • Ears prick or hanging. • Any multiple-color pattern or patches, e.g. black and tan pattern, piebald, parti-colored. The Pumi became eligible for companion and performance events in January 2008, and in January 2011 entered the Miscellaneous Class. As of November 2014, 268 Pumik were registered with the AKC Foundation Stock Service (FSS), and 30% of them have obtained over 400 AKC titles in obedience, rally, conformation, agility, tracking, coursing, and herding (in addition to non-AKC titles in flyball, freestyle, dock diving, and nose work). There have been 25 puppies born so far in 2015, so the “magic 300” number should be reached this year which will allow the Pumi to move into regular AKC status. The Puli Club of America and the Hungarian Pumi Club of America are holding their national specialties concurrently at the Roberts Centre in Wilmington, Ohio on October 15-18, 2015. Judges education will be provided for both breeds along with mentoring. AKC agility will be held 10/15, AKC obedience 10/16-17, conformation 10/16-17, and AKC herding trials 10/18. (All pending AKC approval) The Mudi will also be eligible to participate in the herding trials. 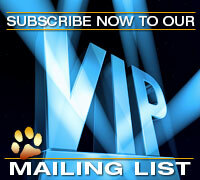 See www.pumiclub.org for the most up-to-date information. The Hungarian Pumi Club of America has provided judges education seminars in most of the main venues, and is willing to provide more as requested, or to answer any questions judges may have about the breed. There is a judges educational CD on the Pumi. 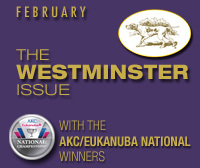 Any judges wanting a copy, please contact the author at chris@abiquadogs.com. Chris is the Judges Education Chair for the Hungarian Pumi Club of America in addition to being its President. She’s had Pumik for 16 years and was instrumental in importing a number of dogs from Hungary and the Scandinavian countries. She and her husband, Tom, have accumulated 5 World Winner titles, 2 European Winner titles, and BOS at the Hungarian Pumi Klub Show with a homebred. Chris judges the Terrier and Non-Sporting Groups plus a few other assorted breeds. Posted by ralbee on Mar 12 2015. Filed under Current Articles, Editorial, Featured. You can follow any responses to this entry through the RSS 2.0. Both comments and pings are currently closed.